"This would still be just another non-journalist media 'celebrity' receiving a TV show based upon their name recognition, not their years of experience, training, ability and talent." 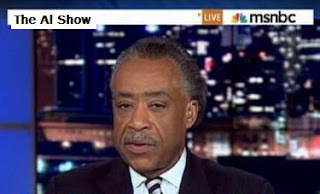 AAEA supports Al Sharpton and opposes NABJ's opposition to his hiring by MSNBC. Again, Blacks get hung up on 'not the right black,' when there was a time when we were just happy to get a black in the door. Al Sharpton has earned his seat at the MSNBC table. Although he is not a journalist, he is an internationally known talent who has proven himself on various stages. Reverend Al Sharpton cancelled his scheduled appearance this week at the National Association of Black Journalists (NABJ) conference following criticism by two of its members that MSNBC promoting him would be a mistake given that he's a "non-journalist" celebrity rather than a seasoned reporter. This is a huge miscalculation and could be rooted in jealousy. Sharpton's support for the NBCUniversal and Comcast merger is a plus for him. Reverend Sharpton is clearly a savy businessman. He also appeared on FOX News numerous times, probably due to his support for Rupert Murdoch's opposition to a change in the rating system for television programming. If support for the merger added his elevation to the anchor seat, so be it. Brilliant. Journalists better do what Sharpton is doing if they want the seat. There are also complaints that maybe the White House exerted influence over Jeffry Immelt, CEO of GE, owner of NBC Universal, to hire Al Sharpton to keep him out of the way during the 2012 presidential contest. Okay. And? Again, Sharpton leverages himself and there is nothing wrong with that.